“Before starting Pilates, I found I had to compromise for specific areas of my body; for example my hip flexors and abdominals. I was doing Bikram Yoga before. Even though the stretching helped, and the pain lessened for a short while, it always came back. I wasn’t getting stronger; I was never improving. It was only a temporary relief. I heard about Concord Pilates through Kelly Diamond when I was doing Bikram Yoga. Kelly had offered a postural self care class at the studio. While I loved the concept of Bikram yoga, I found that Pilates offered such unique exercises and equipment that most facilities don’t have to offer. I think of it almost like physical therapy but it’s more well rounded and each tool or piece of equipment can be adjusted to fit the needs of the individual person. There’s nothing like that elsewhere in the area. All the other students at Concord Pilates have something different going on with their bodies and the teachers help work on those specific needs for them! I feel that Pilates puts your body in an awkward position that makes it necessary that you feel you need to change the way you move. It’s about rethinking your movement, relearning to move with a different strategy. 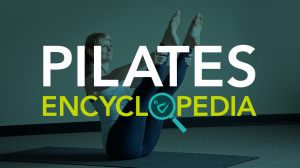 During a Pilates session, you focus on how your body and muscles should be used. The teacher focuses on your individual body. They look at you and let you know how to change and better your weak points. You really aren’t aware of your weak points unless someone else studies you and has the expertise to point them out. I’ve been coming here for about 2 years now; I started with mat classes and moved onto circuit classes and found it was actually fun! Now I’m enrolled in a By Design class, which helps me zoom in to my particular needs. I usually sit and drive a lot and I don’t use my quads and glutes a whole lot. When I don’t have the time for Pilates, I now recognize that I don’t use the muscles I should be using. When I leave after a Pilates class, I walk completely differently! Leaving the studio, I put my boots on and I immediately feel the difference in the way I walk and move. Since being here regularly, I’ve noticed great improvement in my back and in my posture. There used to be a lot of tightness but now my upper body connection is better. My hips have definitely improved. Susan can help you with your real estate needs in the greater Concord area.